WEDNESDAY, Jan. 31, 2018 (HealthDay News) — Migraine sufferers might have to worry about more than just dealing with debilitating headaches. “Accumulating evidence supports that migraine should be considered as an important risk factor for most cardiovascular diseases in both men and women,” Adelborg said. 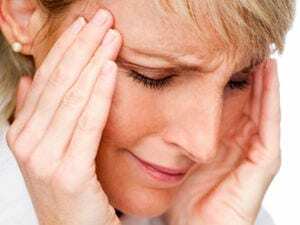 The findings showed that migraine patients more frequently suffered a host of heart- and blood vessel-related health problems, though a cause-and-effect relationship wasn’t proven. That means that an individual’s risk of heart attack or stroke won’t necessarily increase drastically if they suffer migraines. “Although the absolute risks of cardiovascular diseases were low at the individual level, it translates into a substantial increase in risk at the population level, because migraine is a very common disease,” he explained. “Future studies should address whether [migraine] patients at particularly high risk of cardiovascular diseases would benefit from anticoagulant treatment,” Adelborg said. For more on migraine, stroke and heart disease, visit the American Migraine Foundation.